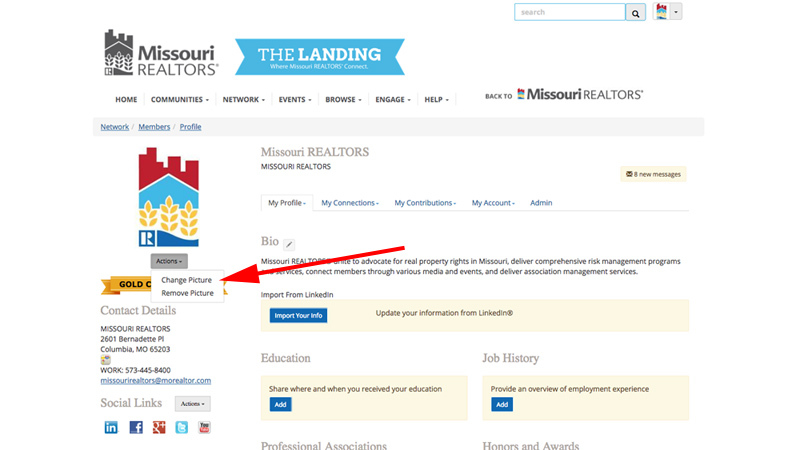 To update your profile photo manually, start out by logging in, then navigate to your profile page and look for the "Actions" button underneath your current profile image placeholder. Click this button to expand a drop-down menu and click "Change Picture." This will open up an image upload wizard. 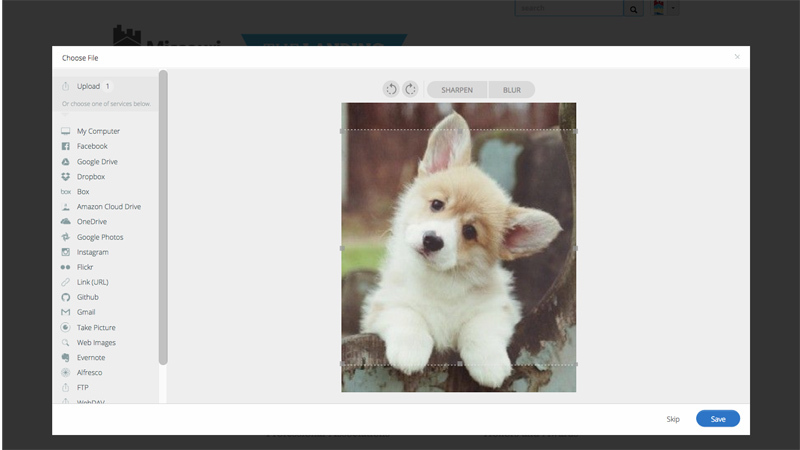 From here you can select an image from one of many services (everything from Dropbox to Instagram!) or upload an image from your Desktop. To do the latter, drag your photo to the center of the screen or click the button to upload a photo. Your photo will show in the upload wizard, and you'll have the opportunity to crop, rotate, and even sharpen or blur the image. Once it looks right, just click save and you'll be all set! 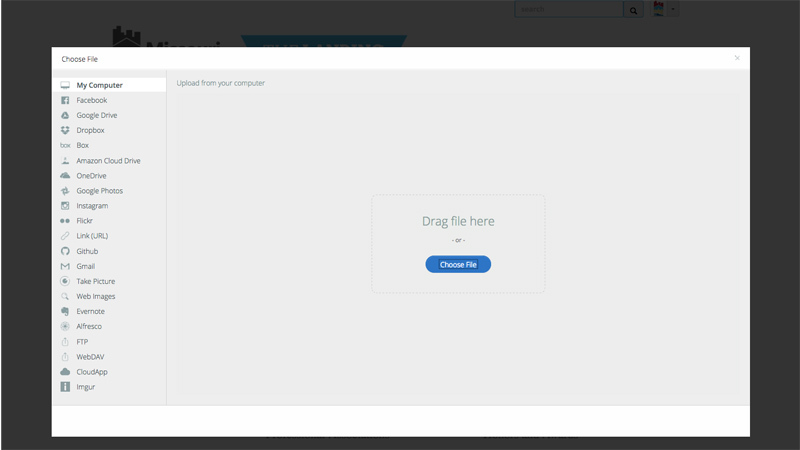 This will invite you to connect your LinkedIn profile with THE LANDING—for security reasons, we need you to accept this and log in to LinkedIn in order to import your info. Finally, you will reach a page where you have the option to select between LinkedIn data for your photo, bio, and most recent job and the data already in THE LANDING. If you have no data entered into your profile yet, then you will see a note that you have no data. Once you've chosen, scroll to the bottom and click "Save and Continue".